Here at London Electricians 24/7 we are proud to serve the people of Hackney and provide them with the best electrical services that are carried out by our team of expert and friendly electricians in Hackney. With more than 20 years experience in the industry, our professional and knowledgeable team of electricians work hard to keep everyone safe. We have gained a reputation over the past 20 years of being loyal to our customers and are dedicated to providing the best quality service possible. As you can imagine because we’ve been involved in the industry for so long we have seen it all. We fully understand all the dangers involved with faulty electrics, and it is our duty to ensure that all commercial and domestic properties remain safe. You can have faith in our services and rely on us here at London Electricians 24/7 to provide you with emergency electricians in Hackney when you need them the most. We employ skilled NICEIC registered electricians, that aren’t only vastly experienced and are accustomed to dealing with all kinds of electrical systems. As well as having full NICEIC accreditation each one of our electricians in Hackney holds a number of other important electrical certifications. This in turn helps to place us as one of the top companies for providing 24/7 electricians in Hackney today. 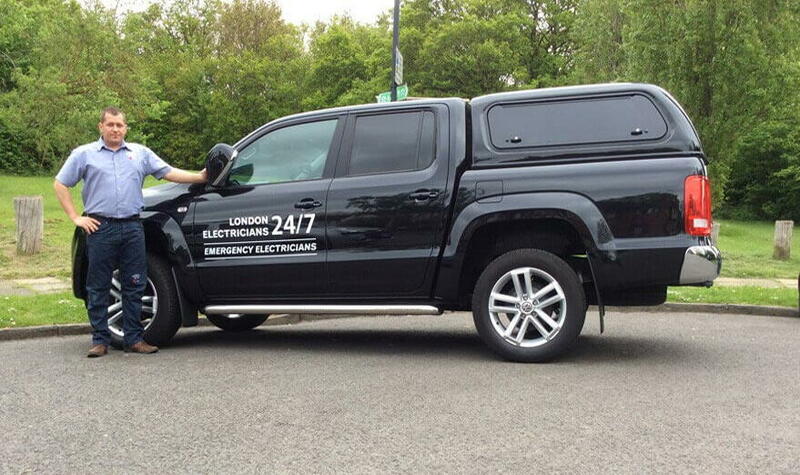 There is one thing here at London Electricians 24/7 that we never compromise on and that is the quality of our work. Whatever kind of electrical work that you need dealing with our team of electricians in Hackney can provide you with a service that is second to none. If you need the services of good 24/7 electricians in Hackney at any time of the day or night then call us on 020 3651 9615, or get in touch with us today.